Isolated John Delaney must wait until the conclusion of an investigation before his future with the FAI is decided. The 51-year-old is clinging onto his role in the FAI after lengthy talks with the board. While lawyers on both sides exchanged views, the meeting was followed by an FAI statement which left many questions unanswered. Two of Mr Delaney's closest allies, honorary secretary Michael Cody and honorary treasurer Eddie Murray, have voluntarily resigned. Mr Cody was the only remaining board member who was aware of Mr Delaney's €100,000 loan to the association in 2017, while Mr Murray admitted he felt he should have known about it. They were elected members of the board, whereas Mr Delaney's position is slightly different as an FAI employee. He recently took on the new role of executive vice president - the brief that he has stepped aside from. Mr Delaney earns around €120,000 a year in that post, a cut from his €360,000 a year CEO salary. The FAI refused to clarify whether Mr Delaney will continue to be paid while he has stepped aside. The FAI statement said that Mr Delaney had "offered to voluntarily step aside from carrying out his role as executive vice-president with immediate effect pending the completion of an independent investigation by the association into issues of concern to the board". But there is mounting political pressure, with several TDs clamouring to call for Mr Delaney to resign. Fine Gael TD Noel Rock said: "It's incredible that the treasurer has the good grace to resign, yet the executive vic- president - in the aftermath of the loan, having his rent paid, and the €40,000 in credit card transactions in six months - [will] only step aside temporarily. 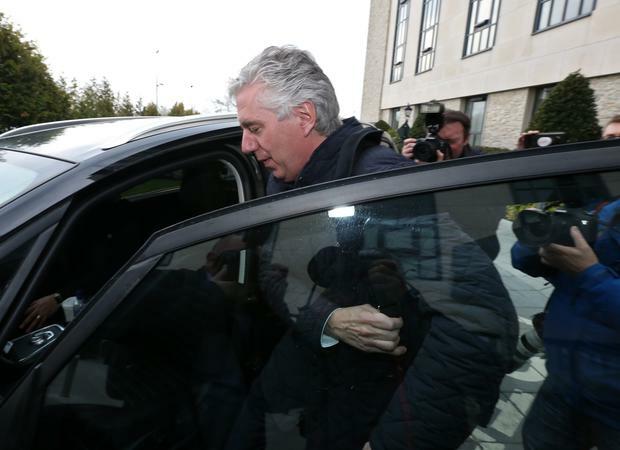 Will the FAI still be paying his salary while he has stepped aside temporarily? Who decides whether the voluntary stepping aside ends?" Independent TD Catherine Murphy said that the FAI's latest statement does "nothing" to restore trust. "This is not the statement that people had expected. 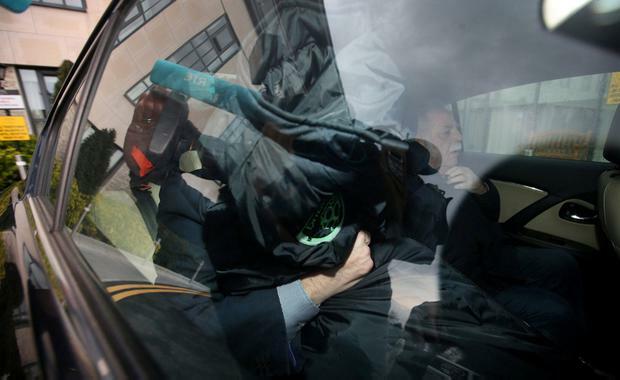 What we're seeing is the FAI doing the absolute minimum, which is not acceptable," she said. "If anyone is asking if John Delaney's offer to resign is going to rebuild trust and start a new dawn for Irish football, my answer would be no." Sinn Féin TD Imelda Munster added that the offer to step aside by Mr Delaney was not good enough - and that he and the board should go. Taoiseach Leo Varadkar cast doubt on whether the Government would be providing grants for some of the Euro 2020 games that are to be held in Dublin next year. Meanwhile, it is understood that the FAI's position heading into yesterday's talks was strongly influenced by legal advice from A&L Goodbody. The FAI released its statement after its remaining board members had left the Boeing Suite at the Carlton Dublin Airport Hotel following a day of meetings. Mr Delaney left the hotel on his own shortly before 4.45pm. President Donal Conway departed through a side exit in an attempt to avoid the media scrum in the lobby. It has already been established that global auditors Mazars and professional services firm Grant Thornton are looking into affairs in Abbotstown amid the fallout from Mr Delaney's €100,000 loan to the association. Pressure from Sport Ireland, sponsors, politicians and engagement with the Office of the Director of Corporate Enforcement are all factors the FAI must deal with next. An FAI sub-committee headed up by Mr Conway is now to the forefront of its decision-making process. It says that group has been mandated to "press ahead with their work as a matter of urgency". "The board acknowledges all concerns raised by stakeholders and supporters and is working to ensure that all Government funding is restored to Irish football at the earliest opportunity," concluded the statement. Here are some key questions that remain unanswered. Is John Delaney still on full pay from his reported €120,000 salary as executive vice president? Seeing as he has "stepped aside" from his FAI role, is Mr Delaney still able to fulfil his duties on the Uefa Executive Committee, and has Uefa contacted the FAI board to seek clarity on this? During his suspension from Uefa over a controversial payment from Sepp Blatter, Michel Platini was able to attend matches at Euro 2016 but only in a private role and, Uefa said, "providing he does not do so in any official function". Will Mr Delaney attend, or have any official role, in Ireland's hosting of the U17 European Championships next month? If the investigations are still ongoing, will he attend, or play a role for the FAI, in events like June's Euro 2020 qualifiers? If Michael Cody and Eddie Murray both "voluntarily resigned from the board", were other resignations offered, or sought? What is the time frame for the investigations and has a time limit been set?